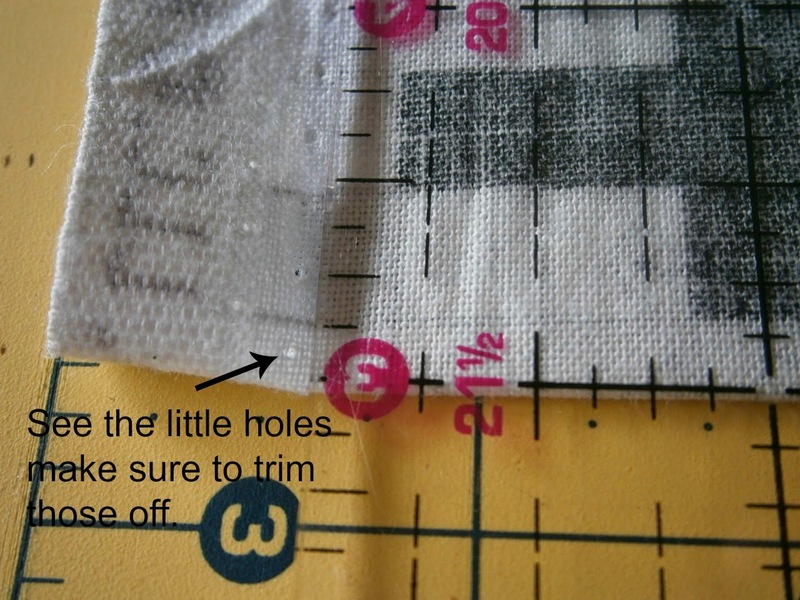 Secretly Stitching: How I cut my Fat Eights of Fabric! 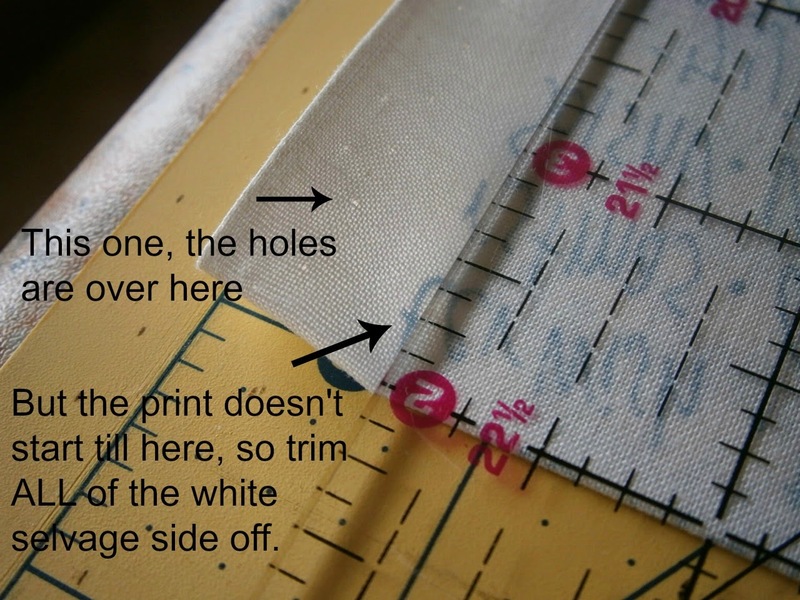 How I cut my Fat Eights of Fabric! I have already done a tutorial on how I like to cut my brick charm squares (5"x10"), now I want to show you how I like to cut my Fat Eights also. 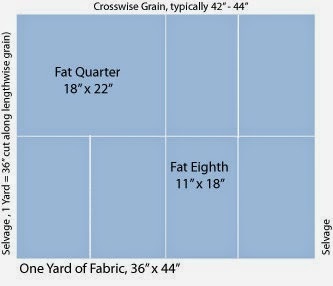 1 yard or 1 metre of fabric will yield 8 Fat Eights. First you need a yard of fabric, or if purchasing through a non-USA fabric store then get a meter of fabric. A meter of fabric is about 3" more (or 8cm), I will leave it up to you if you trim the 3" off and keep for yourself or if you want to spread the joy of a larger piece, then I know I will be happy as I am sure other swappers will too! I trim my selvage by folding the fabric in half right sides facing, so your fabric looks like a 1/2 yard, make the edges/selvages even, now you might see your top look like this. See the selvage edge is straight and even, but the cut sides of the fabric are not, this uneven cutting will be different with each piece of fabric, it depends on how the shop cuts it, or even the person of the day, so this top side is a little smaller than the bottom portion of fabric, I took my ruler to make sure that it at least measured 18". measuring the short cut top down to the folded edge. Okay we are alright, this shortened cut side is still at 18.5" so let's trim that selvage off. This one was wonky cut on the sides and in the middle, but measured over 18"
Make sure to cut any little holes off, like the above picture, or cut all of the white off if the print doesn't start right away like the below picture. Now with both sides of the selvage off, let's fold the fabric in half again, so fold "selvage" to "selvage" (your recently cutted (new word) edges together). This would be the size of a FQ (Fat Quarter) but since we are making F8ths (Fat Eights) we will take the number (above picture) of 21.25" and divide that by 2, this is the measurement we will be cutting the Fat Eights, unfold the fold you just made. Cut that fabric at 10 5/8, making 3 cuts. Then you unfold (the cut fabric should be somewhere around 10-11" x 36") and measure the length, mine were all more than 36", one was 38" so I divided that in half and cut the crossword fabric at 19". Measure and cut the "long" yard side, stacking all 4 strips on top of each other to make 1 cut and creating 8 Fat Eight pieces. All 4 10.5" rows cut and stacked, now I measure and cut it in the middle once, creating 8 pieces. The crosswords ended up being cut at 10.5"x 19" and the Winterfall light blue words was cut at 10 5/8" x 18.5". Neither of my fabrics came out to 11" but they are bigger than 18". You see shops know that they cut wonky and so they normally give you .5 - 1" in extra fabric, I just left that on and you can square it up if you want to, otherwise, every piece ended up being about the same size. 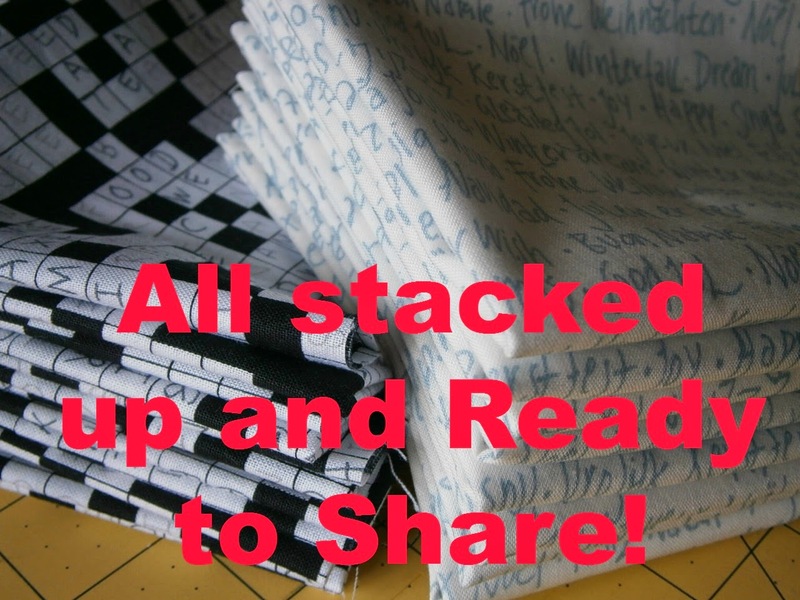 Will you join me for the 8² Text Fabric Swap, Read the Rules and sign up here. I am an American living in Greece with my Greek husband and our 2 lovely children. We have a 5 room domatia with a Taverna located below, my Mother-in-Law is in charge of the business. 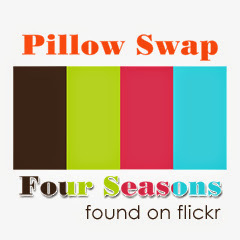 8² - The Fabric Swap Group!